It was Japan's Ryoyu Kobayashi (464.9 points) who won the last competition of the 40th World Cup season ahead of Domen Prevc (444.0 points) and Friday's winner Marcus Eisenbichler from Germany (442.5 points). 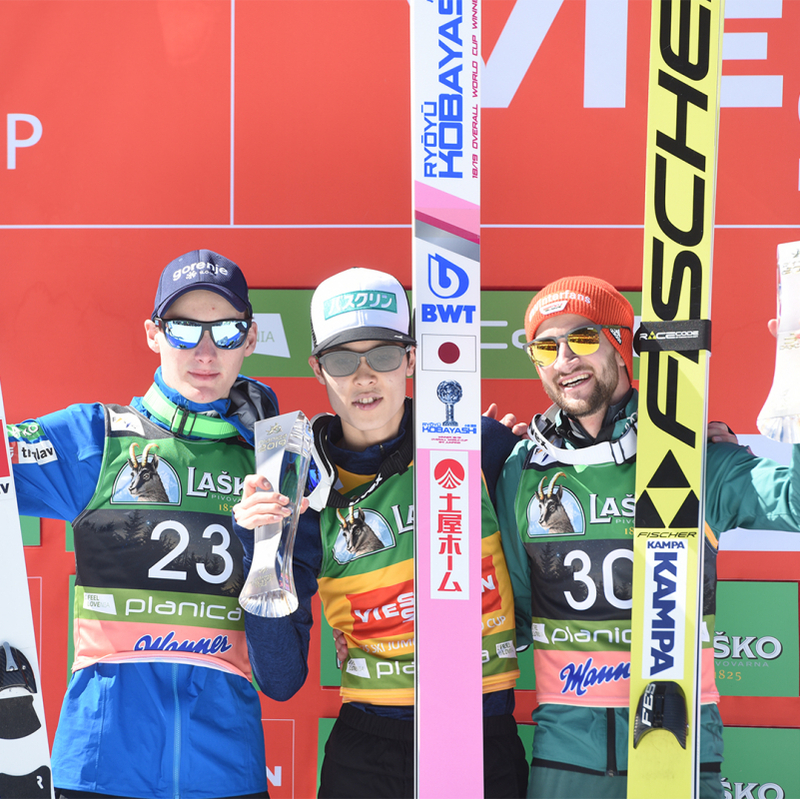 Domen Prevc managed best Slovene result, 2nd, with jump of 239.5 m and 225 m.
Overall World Cup winner Kobayashi laid the foundation for his 13th win of the season with the a new hill record of 245 meters in the first round. The 22-year-old Japanese also won the total of 7 jumps at Planica (Planica 7) as well as Ski Flying World Cup title. Five Slovenians were qualified for the competition. Anže Lanišek finished in 29th place (195.5 m / 201.5 m), Peter Prevc (221.5 m / 204.5 m) 19th, Anže Semenič (241 m / 224 m) 9th, Timi Zajc (231.5 m / 229.5) 5th and Domen Prevc who managed best Slovene result, 2nd, with jump of 239.5 m and 225 m.
The youngest of the Prevc brothers finished fourth in the Sky Flying competition and fifth in Planica7 race while Zajc finished third. Ski jumpers were cheered on by a crowd of 14300 fans and total of 62000 in four days!